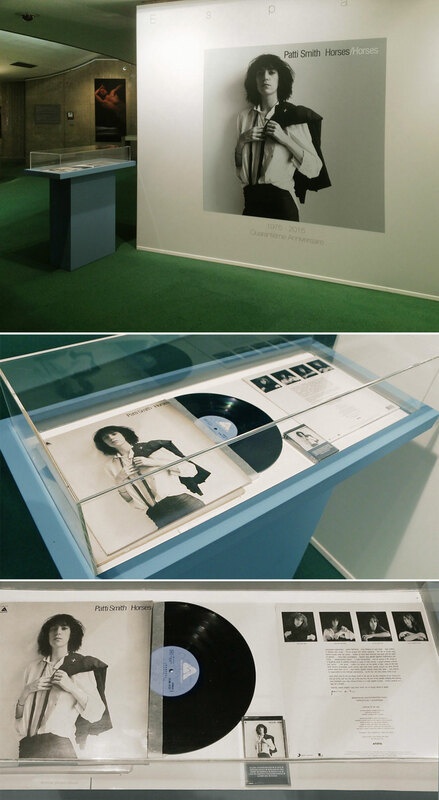 At the end of 2014, I heard that Patti Smith was to undertake a world tour during the fall of 2015, to celebrate the fortieth anniversary of the release of her Horses legendary album, released in October 1975. 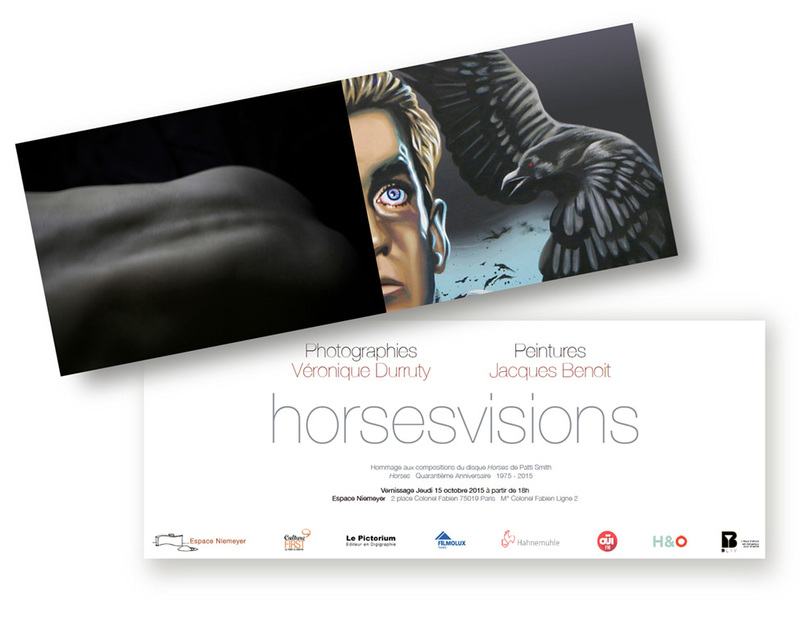 I immediately knew that this could be a unique opportunity to finally do what I had always dreamed of for so long : to try and give some pictorial interpretations of the compositions of this Horses album (that had impressed me so profoundly me as soon as it had appeared in 1975), in order to create an exhibition of them as of October 2015, in tribute to the genius which Patti Smith testified with the creation of this album: a work that opened so many new paths for so many artists, writers and performers in the decades following its release, the aura of which has not dimmed ever since. But time was cruelly lacking for doing so. 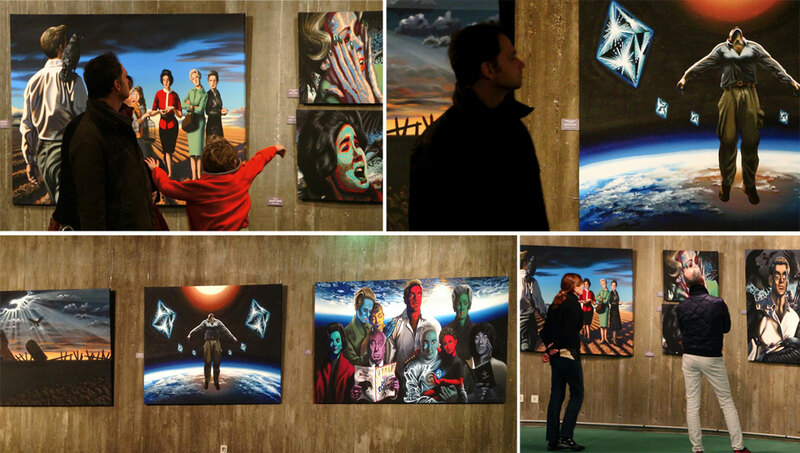 How could it be that in less than nine months I would possibly achieve the conception and implementation of such a vast set of large format works (the medium in which I feel most comfortable), each corresponding to one of the record’s eight major compositions. And simultaneously to be able to organize an exhibition of this extent, conditioned by its location -that had to be found-, and its logistical and financial arrangements –all fields where everything had to be done? 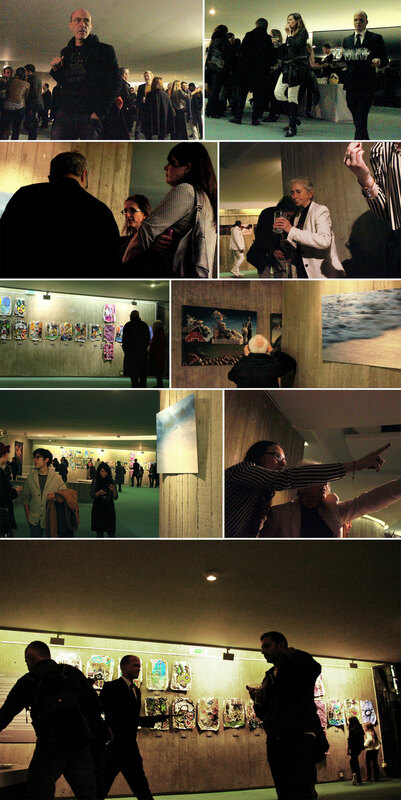 I then thought of asking Véronique Durruty, my friend photographer. This lady had shown a consistent talent within her creative work of some demanding and beautiful formal freedom, and which I had been following for some time. I was ready to determine if the project could be of any interest to her. I had also thought of her because, beyond the quality of her work, I was aware of her unconditional love for Patti Smith’s music, and I thought, moreover, that the often "wild" spirit that her work often showed would constitute a proper echo to Patti Smith’s compositions. We decided to divide up the work by choosing four compositions each. We were very surprised to discover that each of us had selected the very four tracks that the other had precisely left out, without us ever needing to concert about that subject previously. 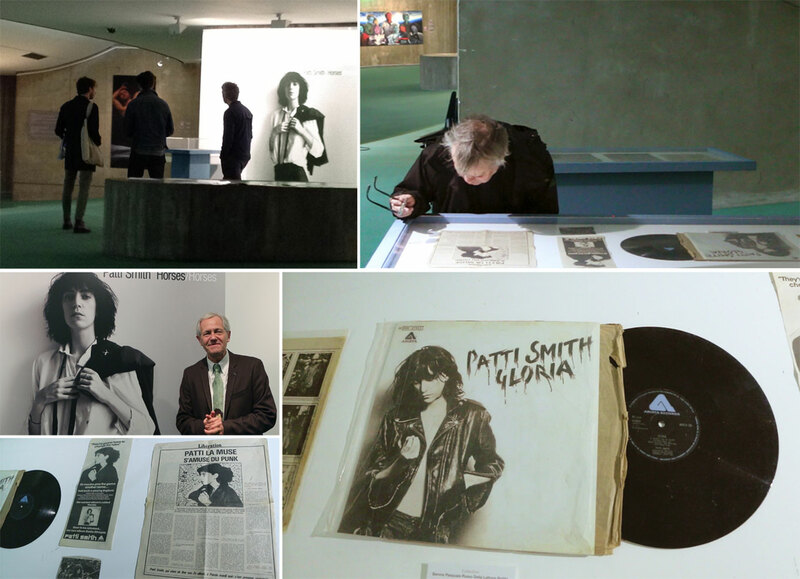 This small prodigy was a harbinger of the perfect harmony that we both always shared, throughout the development of this work and the installation of the exhibition, the latter in itself having proved to be such a huge challenge given the impossible deadlines that we imposed ourselves, because of our will to open the exhibition in synergy with Patti Smith’s presence in Paris circa October 2015 (due to her series of Horses commemorative concerts there). We shall never thank enough Sony Music France in the person of Christophe Langris, Director of the Legacy Department in charge of Patti Smith’s catalog, and Yazid Manou, the Press Officer (and some magician!) in charge of Sony’s relationships with Media, for their support and talent, which helped so much our exhibition to ultimately open as and where we had expected, that is at the Paris’ Espace Niemeyer –a splendid exhibition place that its curator, my friend Gerard Fournier (who had previously exhibited my series of works inspired by Oscar Niemeyer’s architecture), had offered us for horsesvisions, without hesitation and enthusiastically. 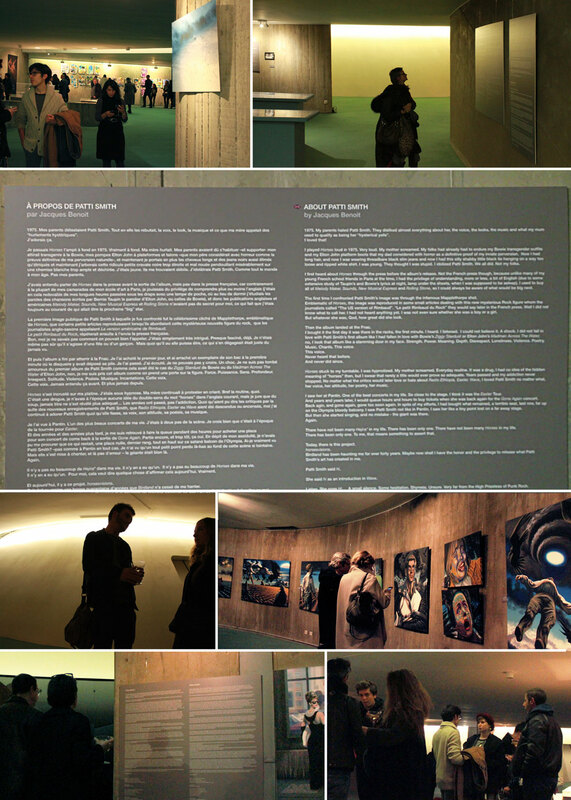 The exhibition opened on October 17th, and closed on December 6th, 2016. 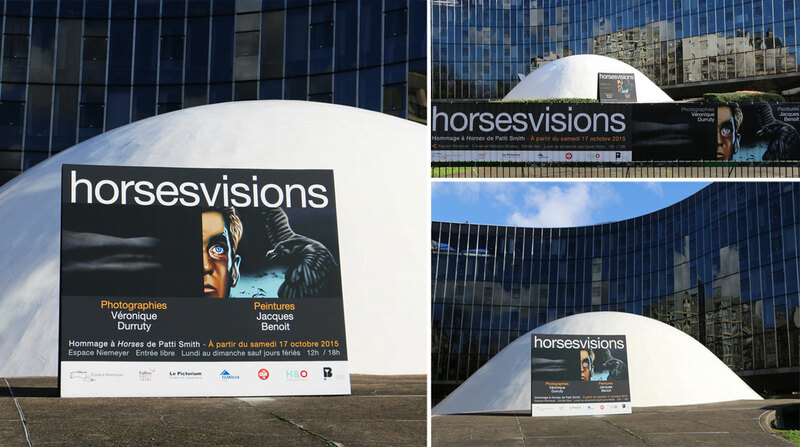 Over five thousand visitors discovered horsesvisions during its month and a half of existence, this in spite of the November 13th attacks in Paris, that grieved in blood the French Capital and compromised the holding of all cultural events there -and therefore of our own-, all of us forced to close our doors during the week of horror that followed those mid-November atrocities. What remain today are the testimonies of all those visitors who wrote down their love for the exhibition on the guestbook, in terms sometimes so flattering that they often made us blush! 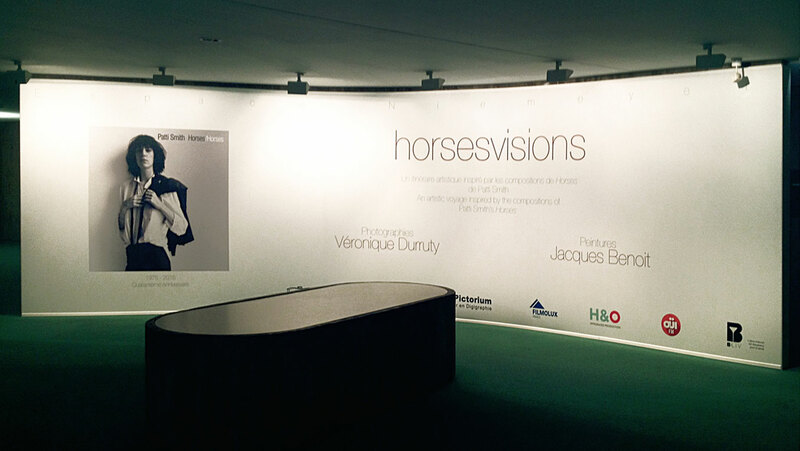 ... And also the memory of this unique horsesvisions show, a totally off the trail kind of exhibition, which brought us some stress but also and above all so much joy. That is, in my case, that of having managed in such a short time to concretize by painting the dreams I had been carrying within me for so many years -actually decades! 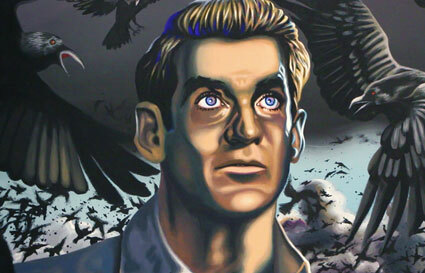 -, these images to which Birdland, Free Money, Kimberly and Elegie gave birth. If only because of Birdland, horsesvisions will remain forever in my heart and my mind as something that was worth being conducted -and of which I am proud. 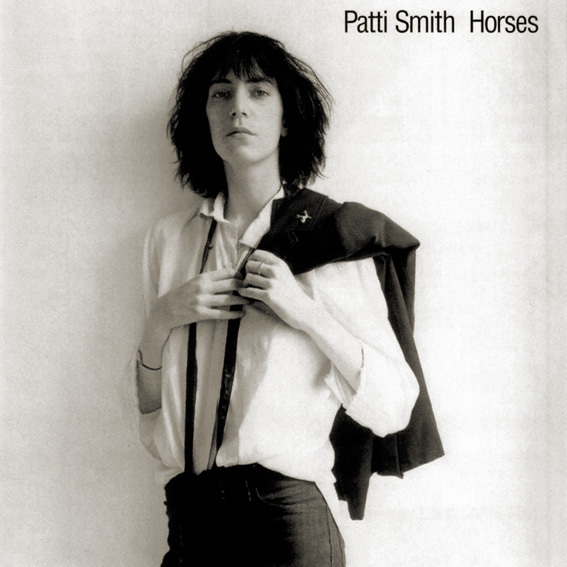 Horses is the debut studio album by American musician Patti Smith, released on December 13, 1975 on Arista Records. Smith, a fixture of the then-burgeoning New York Punk music scene, began recording Horses with her band in 1975 after being signed to Arista Records, with musician John Cale being enlisted to produce the album. With its fusion of simplistic rock n’ roll structures and Smith's freeform, Beat poetry-infused lyrics, Horses was met with widespread critical acclaim upon its initial release. In 2003, the American magazine Rolling Stone ranked Horses as 44th of "500 best albums of all time" and in 2013, the British publication NME (New Musical Express) ranked Smith’s disc 12th in its" 500 best albums of all time". 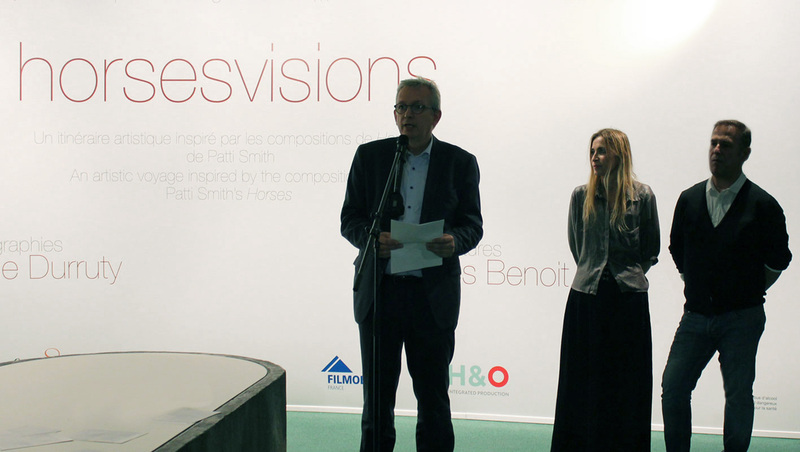 Pierre Laurent, Véronique Durruty and Jacques Benoit during horsesvisions inaugural speech at Espace Niemeyer.